A panini is a pressed and toasted sandwich. It’s the pressing that you need a panini maker for. 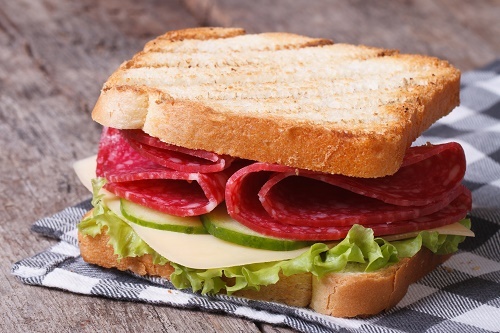 To make a salami-and-cheese panini, you’ll need rye bread, thin slices of hard salami, slices of Jarlsberg cheese, and butter. Once you have these ingredients packed in rye bread, your panini maker should turn out great paninis in no time.